Building a structure isn’t as plain as erecting a building in Australia. The matter needs to go through the development approval procedure of the government, thus, appointing reliable building certifiers is needed. Licensed certifiers are professionals who work for different companies or for local government. 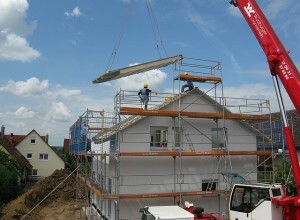 Building certifier will issue the development documents after they comprehensively inspected the building construction. Understanding the role and responsibilities of private building certifiers in Sydney is really important. Hence, this will assist building owners learn more how they can get their approval. Building certifiers should have surveying qualifications prior to getting listened for approving “development” construction. Once certified, their main responsibility to assess the ongoing construction. If the building is not in compliance with the Building Rules Consent, they will not be provided with developmental approvals. Assess the building construction according to the government building rules. The private building certifier will be the ones to approve whether the legislative and other government requirements are met. It should be in compliance with the government’s development rules. They assess and examine everything according to the kind of development. Working with a private certifier will not just at the start of the construction. Building certifier will be around until the completion of the construction project. Along with that, the private certifiers can impose the owner as well as developers to follow what they believe are better for everyone. Building certifier is legal to impose conditions since they are part of the central certifying authorities of the government. Inspections, assessments, and approvals are not the only roles of private building certifiers. In some matters, they can also cancel license conditions, keep certifies’ register, investigate complaint s, and audit operation. Before any building construction work can be completed, business owners need to make sure that all requirements are accomplished including getting reliable building certification company. Appointing technical experts will save time and money since they can already identify potential red flags or roadblocks before they disrupt the building project.